Get tots winding down for bed with two adorable Rookie Toddler rhymes in one chunky flip book. Covering the different stages of bedtime – from washing faces and cleaning teeth to telling a soothing story – these delightful verses will soon get little heads nodding. Both stories feature the rhythmic rhyming text that has become a hallmark of this series, along with gentle, cosy colour pictures. 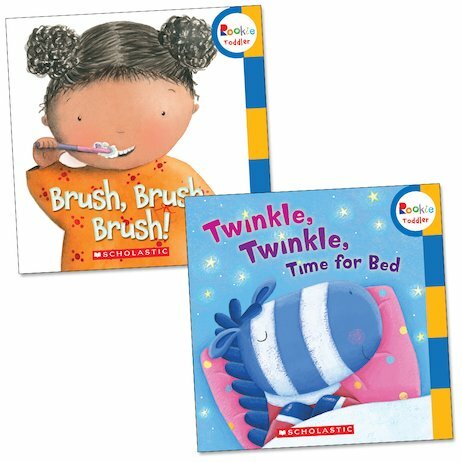 Tots can sing along to the tooth-brushing song before they get into bed, and then enjoy the night-time magic of Twinkle, Twinkle, Time for Bed as they settle down to sleep.